Happy Monday to you and thank you for stopping in today!! I took a few days off from the computer and crafting to just relax. I needed sometime to myself...you know ME time!! 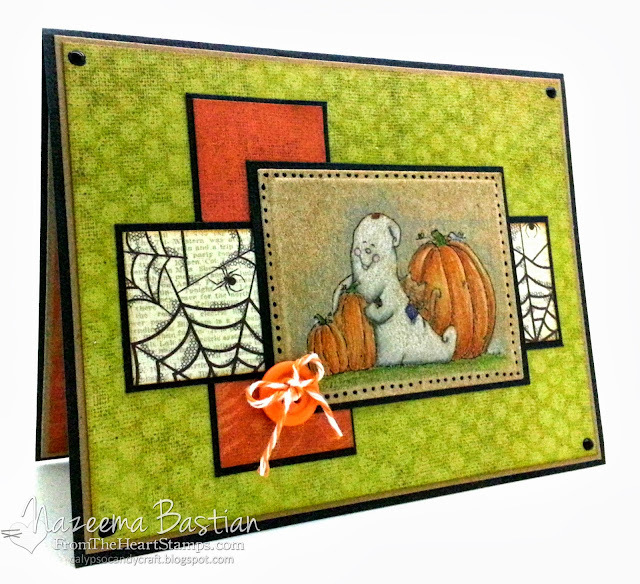 So today, I am back with a cute card I made for this weeks challenge over at From the Heart weekly sketch challenge. I am loving these new images that Faith has been adding to the store!! For my card today, I am using Patches the Ghost. I decided to take out my very neglected Prismacolor pencils to color this image. I'm a little rusty but, overall I like how it came out!!! Hope you will find time to join us and play along. 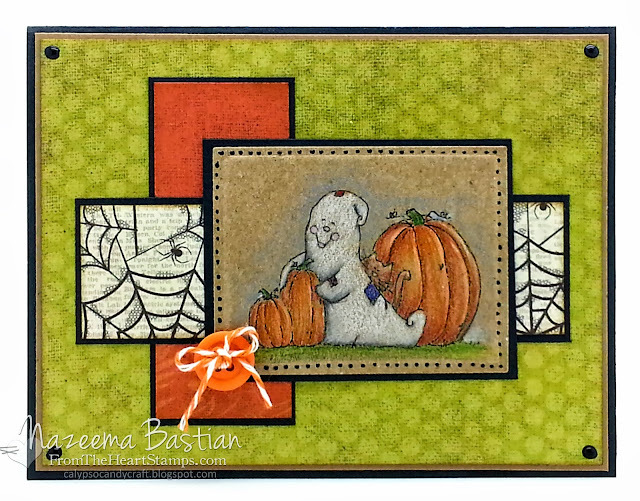 awesome card, love the coloring on kraft! The coloring on kraft looks fabulous ! Beautfiul card. Fabulous coloring on that kraft paper! Wonderful card! WOW! Your coloring on kraft is Amazing! LOVE it! This is absolutely adorable. I don't see anything "rusty" about your coloring 😉, it's great !